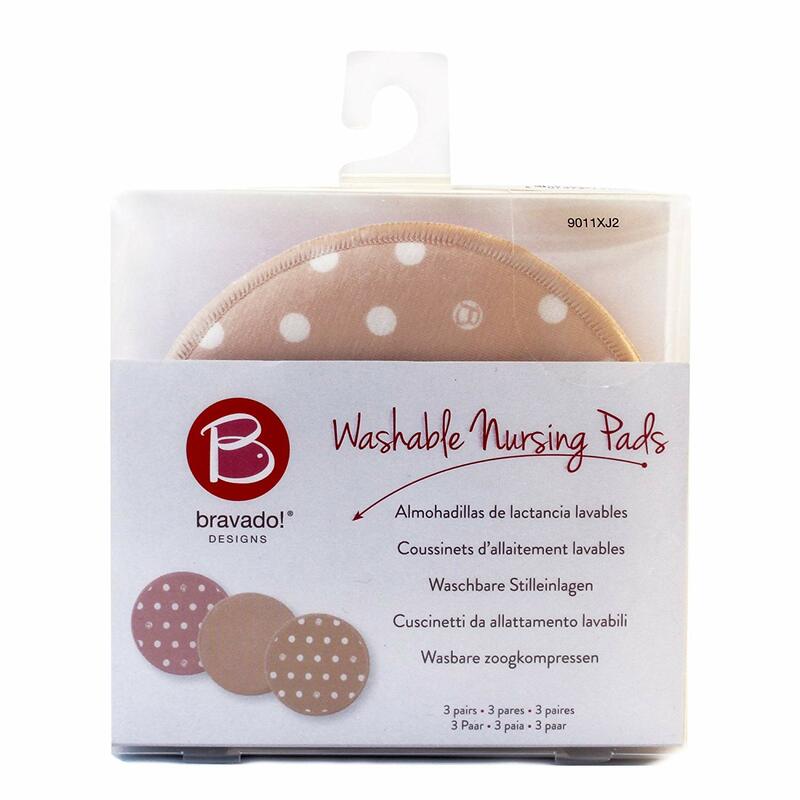 Bravado's Washable Nursing Pads are a 3-pack of super cute and super soft reusable breast pads. 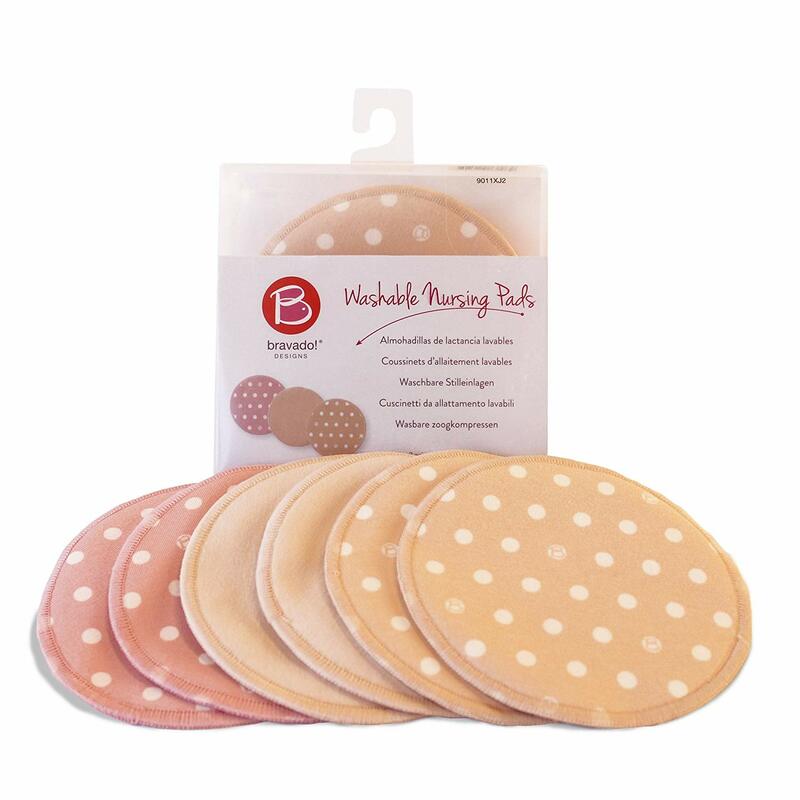 With a wicking mesh layer, absorbing inner layer and leak-proof outer layer, these nursing pads are the ideal thickness to wear under your nursing bra. Machine wash & dry. 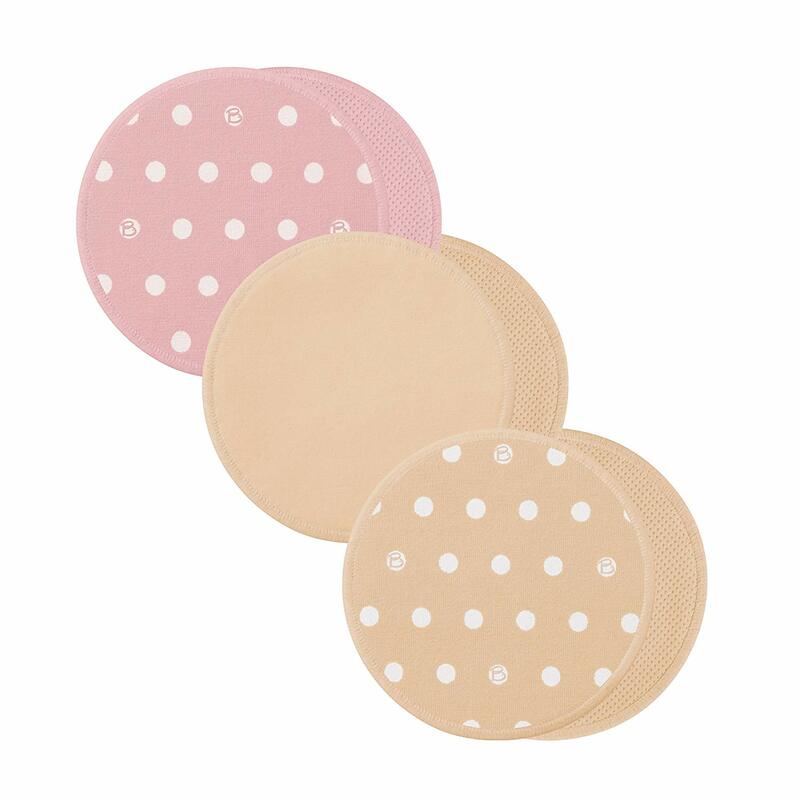 Softer & more economical than disposables. 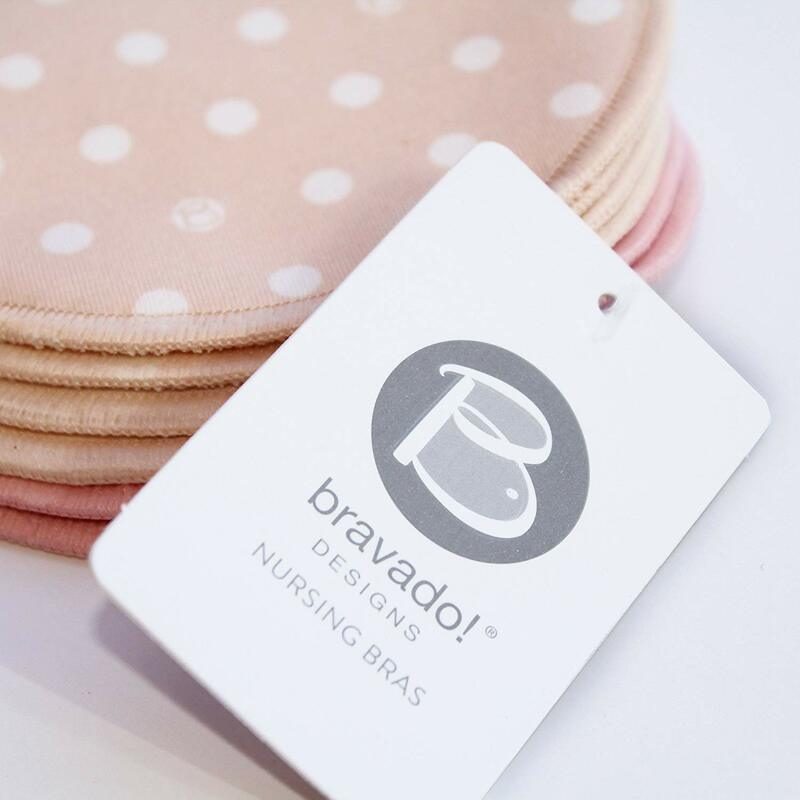 I absolutely love the Bravada pumping bra! It has been a lifesaver. 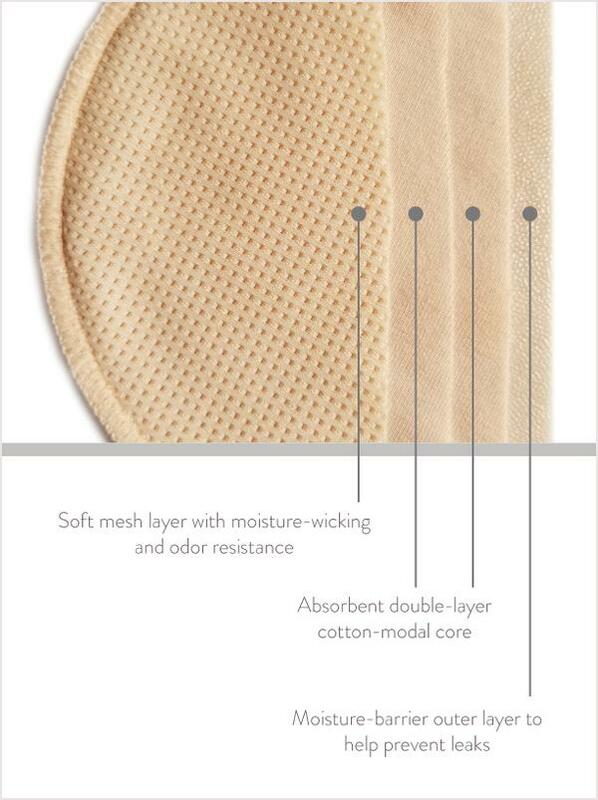 The bra pads are great so that I don't have to buy new ones all the time. The nursing bra, however, was a good fit but is very uncomfortable. The staff at Mommygear have been amazing with trying to help me get the right size and send out a new one very quickly. I'll order all of my mommy needs from here and send my friends over too!